Planview isn’t out to tell businesses how to do their job; it aims to help them optimize their resources—people, finances, applications, services, and ideas. Austin, Texas-based Planview is a worldwide leader in solutions that optimize resources and work, spanning strategic planning, portfolio and resource management, project collaboration, and enterprise architecture. The company solutions help businesses of all sizes, from small teams to large enterprises, improve resource utilization, accelerate time-to-market, increase productivity of project teams, and, ultimately, achieve their goals. Planview’s singular focus drives its strong commitment to innovation and customer success. 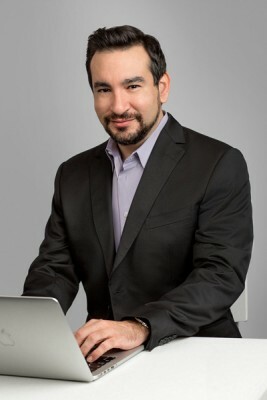 As CIO, Sanchez manages everything in terms of information technology (IT). That includes infrastructure, operations, and the associated security. When you take a quick look at his background, it’s not hard to see how he landed in this role. Sanchez was first exposed to the IT world when he started an internship at a software company when he was just 15. His tasks included desktop support and network administration. He spent a couple of semesters in community college, right around the time the Internet started to gain momentum. That’s when he realized he wanted to gain the work experience that he wasn’t getting in the classroom. After 14 years in the corporate world, Sanchez began to question whether he really had a passion for IT, or if was just something he happened to be good at. Rather than continue to question himself, he quit his job, sold his house and car, and bought a one-way ticket to Bali to learn to surf and take time out for a little self-discovery. When Sanchez returned to the States he put everything he had into an IT career, and Planview has been the beneficiary of that decision. When the company began in 1989, it worked on its customers’ premises. Planview would write software and hand it over to its customers on their servers and behind their firewalls. As the cloud became more prominent, businesses were desperate to employ the latest software, but their IT teams weren’t necessarily able to build it fast enough. These businesses reached out to Planview to run the Planview Enterprise product in a cloud model, but unfortunately, Planview wasn’t optimized to deliver that service. So, one of the first things Sanchez did at Planview in 2008 was build that infrastructure, along with everything else necessary to host Planview software for its customers. “My internal goal is to build the best technology facility in Austin, and I believe that’s going to be delivered over the next couple of months. . . .
Planview’s commitment to its customers is one of its biggest strengths, and what Sanchez believes keeps the company ahead of its competition. He and his team focus on ensuring that customers are using the applications to their fullest extent, and can see how passionate they are about optimizing resources. To maintain its stronghold on the industry, Planview is always looking ahead and staying innovative. Recently, it put a team together to review all of the data around how customers are using its product. The team took an in-depth look in order to make some intelligent decisions around who is using the product, how they’re using it, what features they’re using, and how long it takes them to achieve results. These data points are returned into the project-management organization which decides what software the organization writes. The code being pushed out to customers captures what they’re using. Basically, Planview is using big data to build its product. Another innovative change Planview is making has less to do with technology and more to do with atmosphere. Austin is a competitive space in terms of recruiting talented industry professionals. To make any offer more enticing, Planview is building a new headquarters that will be equipped with the latest-and-greatest gadgets, fireplaces, a game garage, beer and coffee on tap, and more. Planview’s number-one priority will always be the same: to dominate its space.